Many of us want wildlife on our properties, just not in our living room. Providing the correct landscaping and mix of trees and shrubbery can have a substantial impact on the quantity of wildlife and the conflicts you will have with them. There are times when you want to design out a particular species to avoid damage to your property. 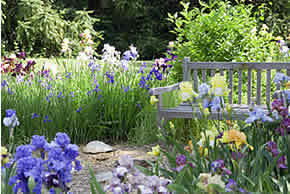 One of the last considerations when building most homes or commercial businesses is the landscaping. Many plants that are palatable to wildlife are quickly eaten to the ground and your expensive landscape becomes a meal for the deer, rabbits and gophers. By contrast, there are many things that may be attracting wildlife to your property. We normally find piles of firewood that are attracting Copperhead snakes. Maybe the lawn is too high and invites mice and rats to feed on the plentiful seeds that the tall grass provides. Our inspection processes will uncover these situations that attract wildlife infestations and we will provide a customized solution for your landing for wildlife and brush/debris removal needs.